 Elkhorn High School offers a variety of courses in which a student has the option to earn college credits while taking high school courses that apply towards graduation. The following information outlines the potential possibilities. Each course is taught at Elkhorn High School by teachers who have met the criteria to teach the course. While students can earn college credit, it is ultimately the decision of the receiving college if and how the credit will transfer to their institutions. AP Courses offered at EHS For more information on AP visit www.collegeboard.com/apstudents. Taking the AP exam at the end of a course is option. The student must take the AP Exam and earn a qualifying score in order to earn college credit. They then can send the score(s) to their respective college. Students are not required to send AP scores to a college as they would a college transcript in the case of dual enrollment. A college can choose to award credit or give advanced placement in the subject area. Individual colleges have policies on AP credit transferability and/or placement. Students can visit http://collegeboard.com/ap/creditpolicy for AP credit policies. It is suggested that a student contact the receiving college to check on advisability of taking the test. There are some cases, such as medical school applications or engineering programs, where a student is strongly encouraged to take the course but the AP exam will not be counted for college credits. Students will register in early March and pay the fees at that time. The fee is around $90. The cost to the student will be announced in the spring at registration. Financial aid is available to students on Free/Reduced Lunch. At EHS, some of the AP courses are offered as a dual enrollment course through local colleges. The student has the option of taking the AP Exam at a reduced cost or free. In some cases, it is advisable to take the test in addition to receiving dual enrollment. See information below. Elkhorn High School offers a variety of courses where students can earn college credits while in high school. These credits will also serve a dual purpose of credits earned towards graduation at EHS. EHS has agreements with Peru State College, Nebraska Wesleyan University, and University of Nebraska at Omaha. Each college has their own admission criteria that students must meet in order to enroll. Students are given registration materials early each semester and student must meet the deadlines. Students pay tuition to the institutions. These courses are taught at EHS by teachers who have credentials to be adjunct faculty for the institution. As such, it is possible for the same course not to be available for dual enrollment with every teacher. The student’s schedule must coincide with the appropriate teacher. In some cases it is possible to adjust a schedule to accommodates a student who would like to sign up for college credits, but there are times that this is not possible due to scheduling conflicts or class size. Another important consideration for students looking towards earning college enrollment is the transferability of credits to the post-secondary institution where they attend after high school. EHS and the college and university institutions do not guarantee that any credits will be awarded when transferred to another college. There have been cases that credits have not transferred. In some cases, if a student has taken the AP exam also, credit is awarded. It is advised, when possible, to check with the potential college prior to registration. One last consideration when choosing to take a course for dual enrollment is that in some cases the grade of the course will be integrated into the college grade point average (gpa). Sometimes a college will transfer just the credits, other they will transfer credit and grade. In either case, since the student will have a college transcript, they cannot choose not to let the college know about a class if the grade is low. In the event a student would earn a grade of 4 or 5, the credit probably would not transfer but the transcript would and could affect the gpa. Every institution makes their own determination in this matter. An example would be if a student took AP Biology for UNO dual enrollment and earned a grade of a 3. The grade would be weighted gpa for EHS with the value of a grade of a 2, but UNO would count it as a grade of a 3, or a C average. Again, not every situation can be planned but it is worth it to at least consider the possible ramifications to a future college transcript. Most importantly—each EHS student must decide on their own course of action—students do not have to take the class for college credit. Students are encouraged to do their best in the class to prepare them for college level work, regardless of their choice. Criteria for admission: Students enrolling in college credit courses must have junior or senior standing, be recommended by the high school academic staff, and have a cumulative grade point average of ‘B,’ its equivalent, or better OR an ACT composite of a 20. Tuition: Each course is priced at $50 a credit hour. There are no additional cost for fees or books. Financial aid is available through Nebraska Department of Education ACE program. Criteria for admission: Any student who is participating the designated courses and has a cumulative GPA of a 3.0 or higher. Tuition: The cost of each course is $250. This is a flat fee and is the only cost of the course. If a student plans to apply to UNO at a future date, the application fee will still need to be paid. There are no additional cost for fees or books. Financial aid is available through Nebraska Department of Education ACE program. AP Exam: Each student who enrolls in a UNO dual enrollment course has the option to take the AP Exam at the end of the school year at NO additional cost. EHS highly encourages each student taking an AP courses to consider taking the exam in order to gain the full experience of taking a rigorous college course. However, at this time the test is still optional. Students will be asked of their decision in the spring semester. Criteria for admission: Any student who is participating the designated courses. It is highly suggested that students have a 3.0 gpa in the prerequisite courses to the dual enrollment course. Tuition: The cost of the course is currently $87 per credit hour. There is no additional cost for fees or books. Registration: All registration is handled online. Students will be given information how to register at the beginning of the semester. Credit card payments and payment plans are accepted also. Financial aid is available through Nebraska Department of Education ACE program. To take advantage of these opportunities a student is given a class period or more to attend classes off the EHS campus. A student must be on track to graduate and must apply to the programs in the spring. Once accepted, the student will work with their counselor to arrange their schedules. In some instances, credits earned can be transferred back to the high school transcript as dual enrollment. Students should check with their counselor on transferability. A student must be enrolled a minimum of 4 class periods. In order to qualify for honor roll and graduation honors, a student must be enrolled in at least 5 classes which can include the dual enrollment course. See your counselor before registration in the spring if you are interested in these opportunities.